Last week, as I was doing my hair before heading out for a girls’ night, I was venting to my husband about how stressed I was over some upcoming work deadlines. When the night was over and I felt way more relaxed, I realized I had no trouble taking his advice; I simply took the burden of deadlines that was weighing on my shoulders and placed it on a shelf, to be forgotten until the next morning. And that’s when it occurred to me why becoming a mom really changes everything. The moment I learned I was pregnant with my first child, I knew my life was about to change completely, but the reality was even more upending than I expected. From big things like the size of my heart (which quadrupled the moment my son was born) to little things like my newfound appreciation for solo trips to Target, life would never be the same. Because while I can go out for the occasional girls’ night and leave my work-related cares behind me, my role as mom is one that I simply cannot turn off, no matter what. No matter where I am or who I’m with, I am now always first and foremost a mom. With all of my other identities—writer, daughter, friend, citizen—there’s an off switch. That’s not to say that I forget about those roles, or that they’re mere performances. It’s just that when I want or need my focus to be elsewhere, I can make it happen, at least for a time. But answering to “Mommy?” That one just can’t be put on a shelf. I can’t put it aside, or flip the off switch. I’m physically unable to. …when I’m negotiating a work contract, I’m a mom. …when I’m writing an article, I’m a mom. …when I’m on a date with my husband, I’m a mom (which is markedly evident by the fact that we need to schedule date nights…you don’t need to do that before you become a mom!). …when I’m at the doctor’s office, I’m a mom. …when I’m chatting with a friend about recipe ideas or tv shows or sales on shoes, I’m a mom. Similarly, my responsibility as a mother is now my top consideration when making almost every decision, no matter how big or small. Fancy restaurant or kid-friendly chain? Go to that party or skip it? It seems I can’t make it through a five-minute span without considering how it will affect my offspring! 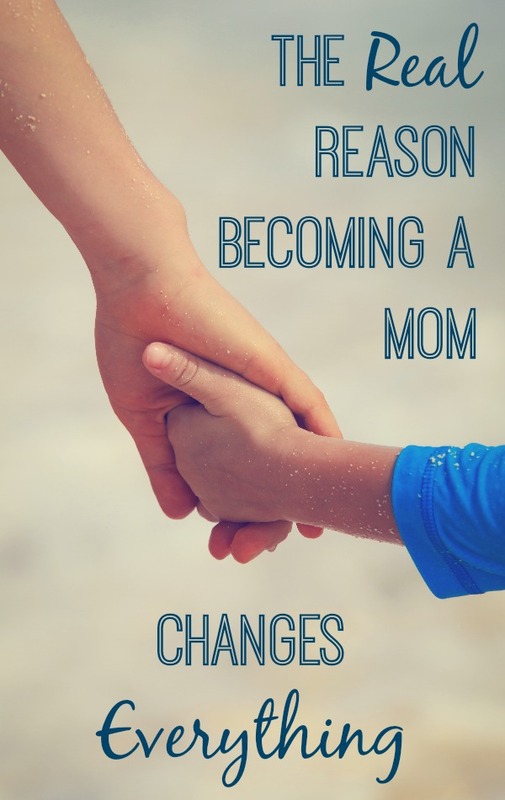 And that is why becoming a mom truly changes everything, in a way that other big life events—switching jobs, moving across the country, and in some cases even getting married—simply doesn’t. Because of all the identities we have, of all the roles we play from sunrise to sunset, “mom” is the one we carry with us no matter what the situation. Do you also find it impossible to turn off your mom switch? 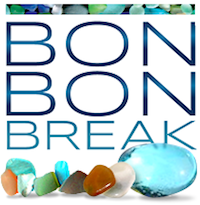 If you enjoyed this post, I’d be so grateful if you shared it using the buttons below! I totally agree! That mom switch is one that is permanently on. And sometimes it can be utterly exhausting. The mother role is definitely my favorite and the one I’m most proud of and I am with you, I am a mother before anything else. Definitely “mom” is not a role we can switch off, which is good, right? Though I don’t think about 24 hrs a day but certainly every single minute that I’m with them. Most definitely. Being a mom is always a part of me, and I’m so glad. In fact, I know some day when the kids leave, I’ll still always be on mom mode – thinking about them, worrying about them, trying to figure out how to see them. 😉 Great post! Very true, though I think the same as my other relationships with people. For instance, I can’t turn off wife or sister either. I think what this reminds me of is that you can’t QUIT being a mom. You can divorce, quit a job, even never talk to family, but when you’re a mom of a young kid, you can’t really quit on your child (at least most people don’t). And while I CAN turn off and stop thinking about my kid out on a date night or focus at work, the point of the matter is, I’m still coming home to my kids. They are my biggest responsibilities because while I’m just as committed to my spouse, I know he’s independent while my kids are not. It’s definitely a huge responsibility! I know this feeling so well and like you I am a mom, which is a switch I can not ever seem to turn off either! That’s so true! My baby is my primary responsibility and the first thing I think about when making any plans. I don’t have kids, but this was a lovely post. Thanks for sharing it. I have the same problem! It’s easy to forget about laundry or other responsibilities, but I’m always thinking about my son. Very well said! Oh, I totally agree. Even which sponsored posts to take (maybe I don’t have enough time–because I’m a mom). I love it, but it does affect every thing I do. Yes! Suddenly anything and everything (can I run to the store? should I accept a new client? is it ok to fly back east to visit my parents this summer) is filtered through my Mommy lens. It’s not a bad thing at all, but it does make me realize how quickly and firmly I now identify as a mother above all. Totally agree. Becoming a mother puts life into a whole new context. Yes! But I am coming round the corner to the other side, too. Where I realize that my son, in 6th grade, will be thinking of college soon. And that feels weird, yet right. And I realize that there are so many moms of adult children who carry them in their hearts, but go to work and don’t have hockey games to attend anymore. Or can pursue second, third careers while the kids are out of the house. This is so true! Even if you take time off, you still are a mom and that never changes no matter what you’re doing. Sorry – it sent before I was done! But yup, I couldn’t agree more. It never turns off! Ditto with the author…once a Mom always a Mom…great insights…it affects everything.